Me and my mom, who is also a flight attendant. That’s right, we both pick up trash at 35,000 feet. 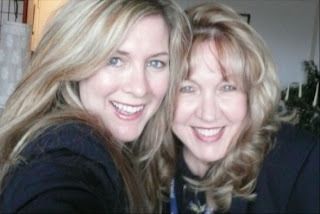 I suspect that flying through timezones is the key to youthful looks you and mom are beautiful! I’m in my third week of FA training Technical Knowledge starts on Monday @ 6 am (Woo-hoo!!!) I get my wings in April!